MSR contruction adhesive SSKF (slow skin forming) is a one component,&nbsp;permanently elastic, fast curing construction adhesive and mounting kit, based on silyl&nbsp;modified polymer (SMP), with longer open time (30 minutes). MSR construction&nbsp;adhesive SSKF has been tested and certified to the international maritime organisation&nbsp;fire test procedures for surface flammability, resolution A.653 (16) and been approved&nbsp;for use throughout the accommodation (wall, ceiling and screeds).Applications Bonding push borders. Bonding fittings. Bonding deck coverings. Bonding sheets. Bonding and sealing deck / hull connections. Bonding deck hatches and portholes. As bedding compound whenever a higher initial strength is required. MSR bedding compound is a one component, elastic, fast curing adhesive and sealant, based on&nbsp;silyl modified Polymer (SMP). MSR bedding compound has been tested and certified according to&nbsp;the international maritime organisation fire test procedures for surface flammability, resolution A.653 (16) and has been approved for use throughout the vessel (partition, ceiling and floor). Applications Suitable for use as bedding compound &ldquo;between steel, aluminium, polyester&nbsp;and / or wooden decks and teak decking. 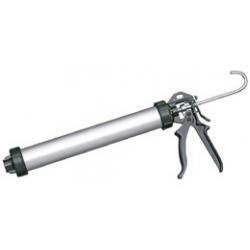 Also suitable for bonding / sealing of&nbsp;waterproof plywood deck on a steel, aluminium, fiberglass or wooden deck. MSR fast tack is an elastic, fast curing adhesive based on silyl modified polymer (SMP) with a high initial tack and excellent UV, fresh and salt water resistance. MSR fast tack is tested and certified to the international maritime organisation fire test procedures for surface flammability, resolution A.653 (16) and has been approved for use in the whole vessel (wall, ceiling and floor). Using MSR fast tack with the dual smp &reg; technology guarantees an increased and controlled cure certainty in production and extends the application. Applications Direct bonding of windows (glass, PMMA, PC). Bonding of punch lists. Bonding deck hatches and portholes. Bonding of sheets. Bonding of fittings. Bonding deck / hull joint. 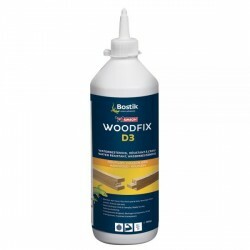 Waterproof wood adhesive is a ready D3 dispersion based on polyvinyl acetate.Applications The water resistant bonding of all kinds of planed hard and soft wood,&nbsp;hardboard, particleboard, MDF, tri-/multiplex NEN-EN-204-D3. Suitable forwood construction, dovetail and groove connection. Tested and certified according to IMO Resolution A.653 (16) and has been&nbsp;approved for application throughout the vessel. Consumption 150 g/m&sup2;. 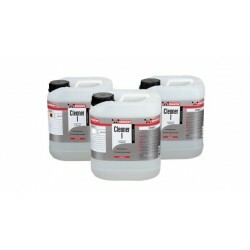 Prep M is a treatment to improve the adhesion of various adhesives and sealants on&nbsp;closed surfaces. Applications Preparation of metal substrates like aluminium, steel, copper &amp; brass. Preparation of powder coated surfaces. 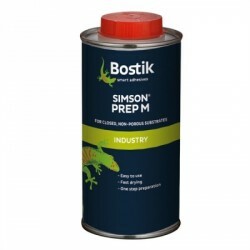 Preparation of painted surfaces (pretest the surface for adhesion and potential&nbsp;injury). Preparation of polyester (GRP). Preparation of ABS. Preparation of PVC. Consumption Consumption of Prep M is approximately 20 m&sup2;/ liter. 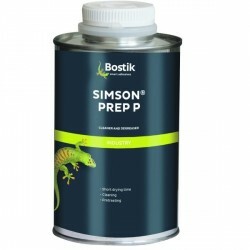 Prep P is a liquid primer for improving the adhesion of several products on porous&nbsp;substrates. 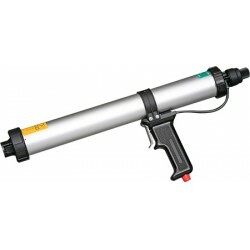 Consult the technical information of the product. Applications Preparation of mineral substrates such as (bin) stone, concrete and lightweight&nbsp;concrete. Preparation of wooden surfaces (such as seams in teak decks).&nbsp; Consumption Depending on the type of substrate consumption is 8-10 m&sup2;/liter. Prep G Plus has been developed as a black pretreatment for use on glass, not having&nbsp;a ceramic coating, in order to provide a UV-protecting coat, before applying special adhesives for bonding glass (also PMMA and PC) in the automotive, bus, ship and railway industries.Applications Applications are particularly glass substrates (also PMMA and PC) in the automobile, bus, ship and rail industry. Preparation of glass substrates without ceramic coating. Repair of damaged paint on metal substrate. Consumption Consumption of Primer G is approximately 10 m&sup2;/liter. 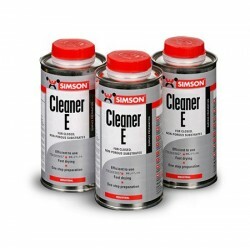 Cleaner E is a pretreatment agent for cleaning and degreasing of surfaces, which are&nbsp;then glued or sealed with specific products. Refer to technical sheet of the product.&nbsp; Applications Cleaning and degreasing of joints in such teak decks (prior to application of&nbsp;Prep P). Remove uncured sealant and adhesive residue on surfaces and tools. Degreasing and cleaning of glass surfaces. Consumption Consumption of Cleaner E is approximately 15 m&sup2;/liter. 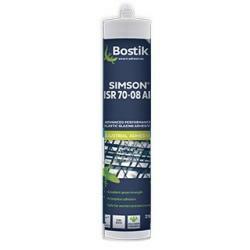 Bostik ISR 70-08 AP is a high quality Silyl Modified Polymer (SMP) based Direct Glazing Adhesive&nbsp;especially developed for the rapid and efficient bonding of windscreens in the Auto Aftermarket as&nbsp;well as in OEM, Bus, Coach &amp; Train building and other areas of the Transport market, especially where vehicles have to be released (or moved) shortly after installation. Applications Bostik ISR 70-08 AP is specially designed for the rapid replacement of&nbsp;windscreens At 23&deg;C and 50% relative humidity. MSR Deck Caulk Advanced is a 1-component,&nbsp;permanently elastic, fast curing sealant, based on&nbsp;Silyl Modified Polymer (SMP). ApplicationsWatertight sealing of seams in teak decks and&nbsp;other decking materials. High-quality universal neutral silicone kit. 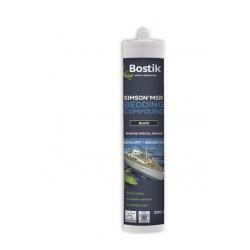 Bostik Premium Silicone N is a neutral one mildew&nbsp;resistant silicone sealant. 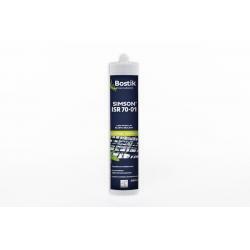 Bostik Premium Silicone N is a sanitary-oriented, versatile silicone sealant&nbsp;for it sealing construction and glazing joints. 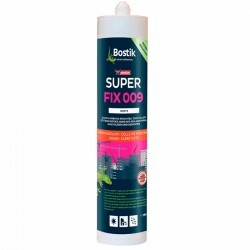 Bostik Premium Silicone N hardens under the influence of air humidity to a permanently elastic, well ageing-resistant silicone rubber. 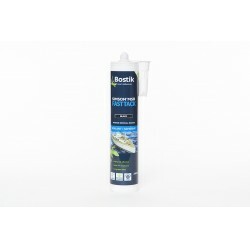 ApplicationsBostik Premium Silicone N is used as a kit for connection and movement joints,&nbsp;such as: Connection joints at washbasins, counter tops, shower trays and baths. Connection joints between prefab concrete and masonry. Expansion joints in concrete and masonry. Glazing joints. Joints around window and door frames. Joints in industrial spaces. Refrigerated furniture industry. 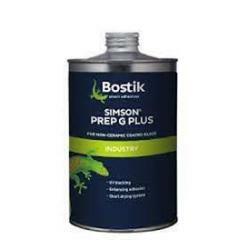 A preparation agent, ideally suitable for cleaning and degreasing substrates for&nbsp;bonding or sealing with specific products.